Dating back to 1858, the glorious Crush Room has been fully and carefully restored to its original gilded splendour. The room is adorned with 17th century Flemish artwork as well as two crystal chandeliers crafted from the original chandelier that once hung in the centre of the main auditorium. 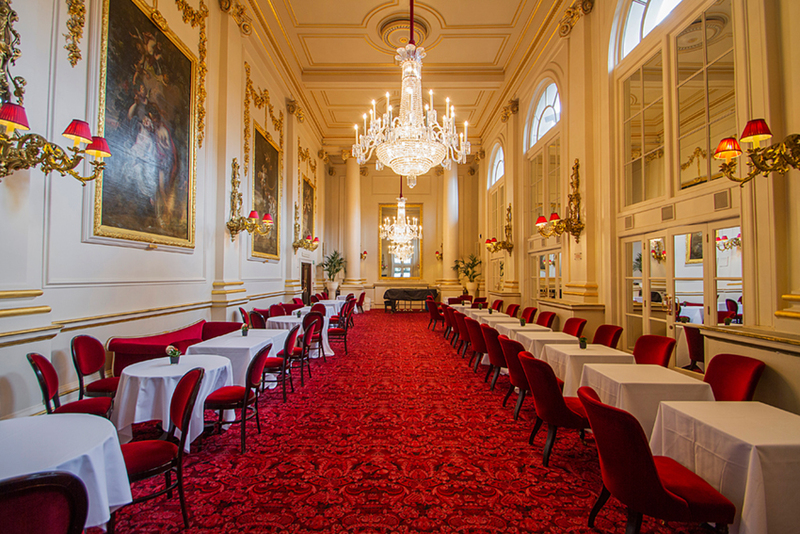 The Crush Room perfectly captures the historical splendour of the Royal Opera House and offers an impressive venue for smaller conferences, launches, drinks receptions and lunches. The Crush Room can be hired along with the Dorman Conservatory for a larger guest capacity.